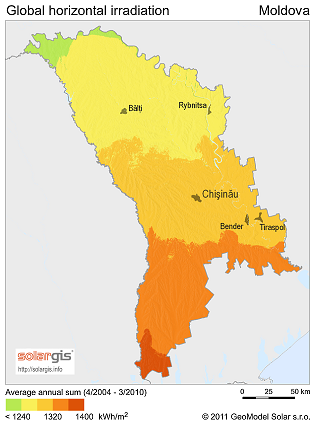 Simultaneously with increase of tariffs for electric energy, the few producers of electricity from renewable sources regenerabilele in the Republic of Moldova faced a situation is absurd when the current product is less than that from traditional sources. Worldwide producers of renewable energy, combating the production cost of electrical energy as little as possible, compared to traditional sources. Generally, however, the costs for the production of renewable energy is higher and the difference is subsidized by the state or entered in the accounts of consumers. In Moldova it was due to the inconsistent policy between the authorities, on the one hand, declares that it supports the development of the renewable energy sources, but de facto the opposite is true. On July 18 the Board of Directors of the Agency ANRE approved at the meeting of the new regulated tariffs for distribution services and supply of electric energy to consumers consumers PEAK "RED Union Fenosa" SA, by îcs Gas Natural Fenosa Supply of Electricity JSC" RED Nord and RED Nord - Vest SA, as well as a new tariff for services in transfer of electric energy provided by the SE Moldelectrica. The decision of ANRE household consumers connected to the low voltage network served by Gas Natural Fenosa Supply of Energy will be on the pay rate of 2.16 lei ( 0.1 Euro/kWh, those RED Nord 2,23 ( 0.11 Euro)lei/kWh, whereas RED Nord - Vest will pulls out his 2,33 money/kWh. The tariff increase has not achieved, and suppliers of electricity from renewable sources. Thus, they will continue to receive 1,24-1,92 lei ( 0.06 - 0.09 Euro) per kilowatt-hour(!). Unfortunately, it is not clear how to motivate these manufacturers in the tariff increase, because once the equipment was installed, the main costs are those of service, which practically do not change due to the weakening of the national currency against the dollar or the Euro. This approach will never allow the development of the sector of renewable energy production in the country, and large investors will be around the same as it did and still. Even before the creation of this situation, we reported that producers of renewable energy who had to wait long periods to get the tariff for the energy produced, and until then, and began to supply free electricity. Some manufacturers have stated that previously tried to challenge the rate is very small, set ANRE, but without success.